Did anyone noticed that in this version of ME, there's real big problem with shots from distance. During my first season in Championship, i haven't seen any goal scored from outside the penalty area (only few goals to empty net after some mistakes between GK and DC and one or two goals from free kicks). Neither from my team nor from opposition. Even players, who are pretty good in shooting from distance (long shots attribute 14 and more) can't score. Is it only my problem? Lets say my mentality is Attacking and my passing direct. This way the passing slider in players is at (lets say) 15? And if i choose shorter passing for every one, it will increase to (lets say) 10? And lower the mentality, then lower will be the slider with same passing options? You really need to forget about sliders! There are passing structures within Mentality anyway, so in Attacking your defend Duties will play shorter than your attack Duties, so it is too simplistic to assume that all players would have had an old slider equivalent of x, y and z anyway. Absolutely. I see like 1 or 2 long shot goals per season. I think the same issue affects DFKs. This topic has floated about in General Discussion, and it's fair to say that people are seeing mixed results. I see a nice amount of long shots, but plenty of others say that they see none. The important thing to remember is that it is about far more than single attributes in isolation - a combination of attributes increases the likelihood of long shots going in, but you first need to create a suitable opportunity for that shot too. Well, not technically a training and tactics question, you have to go into the squad selection and check the option that you selected next to it to "untick" it. Incorrect. If you use the train until match fit and the player get match fit he will still show up as being available for reserve and you can't turn it off in the menu, all make available until fit options is grayed out. The work around is selecting one of the minute numbers to make them always available and then deselecting that option again to remove the reserve indicator. In his career plans - he has listed that moving to England would not be preferred - among almost all big leagues. My question is - has anybody had any luck getting him to join a club outside Germany? If so - how? :o Whoops, I could have explained that better. Nice one. The team report under tactic tab is inconsistent for me, it fluctuates every now and then about CA and PA for 0.5 to 1 star... it is very annoying for me, not sure if I have done something wrong. 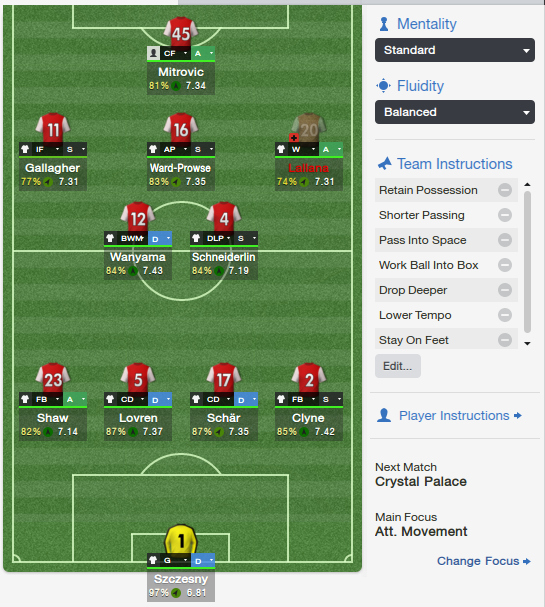 There's a tab at the top right that allows you to select a different staff member's opinion of the squad depth. Ultimately though that's based on their own level of abilities, so you want to try and be able to know already the right attributes for your roles and have a strong understanding of what you're looking for yourself. Does 'pass into space' and 'work ball into box' contradict each other if selected together? Pass Into Space is putting balls where another player will arrive to pick it up, instead of at their feet. It works very well with 'work ball into box' as one attacker can pass the ball into the box and another can arrive later due to pass into space. If you have WBiB without PiS they will wait for a receiver to be in the box before passing, this is safer, but also much easier to defend against. What are your CM roles? You need at least one person attacking centrally from deep, imo. I have a CM(A) and a AP(S). This is what it looks like http://postimg.org/image/6abmwf429/ But the left IF is on a support duty but im not on my PC now so cant upload a newer SS. When playing a back 4, do people generally adjust their CB pairing dependent on whether they are facing 1 or 2 strikers? For example, I could see how trying for a stopper-cover relationship might be problematic when facing 2 strikers because the gap between CBs would be more easily exploited, but does the same issue happen if you are up against a AMC-ST partnership? I don't usually do that, but can certainly see the merits of switching from Stopper / Cover against a pair, for the exact reason you mention. It's quite rare to face a striking pair these days, but certainly something to be aware of. I'm not at all happy with stopper/cover relationship's even with world class defenders. D/C is fine, but S/C need a 3rd central defender to ensure solid defence line. A DM Half Back to cover while the S run's about. Against two strikers I always keep an eye out for poachers getting in behind my players. If I see it happening I may change one CB to cover. Great replies all; I guess I'm trying to figure out the necessary proactive tweaks I can make to my pressing, high-line defensive system that can mitigate against letting strikers slip behind (I know I'm courting that risk by pressing and playing high). So I guess against 2 strikers (or maybe even 1 striker and an AMC that gets forward), it would be reasonable to play CD(d)-CD(d)? And against lone strikers, it might be more effective to play CD©-CD(s/d)? Or is it even too crude to break it down like that, and one must adjust based off exactly how the opponent plans to supply its striker(s)? You don't want to play a CD(X) alongside a CD©. The stopper will rush out, while the cover'er will drop deeper, leaving dangerous space open in front of goal. Go with CD(D) and CD(X) if you want a stopper. Also make sure the stopper actually has the attributes to play that way, including some mentals that might not be 'highlighted' by the game. I am really struggling to 'read' the matches as they are played. Please can someone tell me how I find out if the opposition are playing with a high or low defensive line, are they attacking down the wings or through the centre etc. Is there some form of walkthrough that has been produced to help fools like me? I've got a question on player familiarity when it comes to his "role"
What I mean is that, does changing a players role constantly affect his performance? Does he need time to adapt to the role? Eg. Say I have a striker and I play him poacher for 3 games, figure he isn't playing well and so switch him to advance forward for a couple games. He's still misfiring so I change him to deep lying forward for a bit. Would all the role changes have any affect on his game? Would he need a few games to get used to the role I'm asking him to fulfil before he can be fairly assessed? Switching Roles for a player won't have a familiarity issue. The issues will be whether that Role can just slot in with the rest of the tactic, and the players' own capability in that Role. My defense has been so leaky this season, I have players that are of a good standard(all of either good, or leading star for PL) and my tactics are very simple. I don't know what I can do? 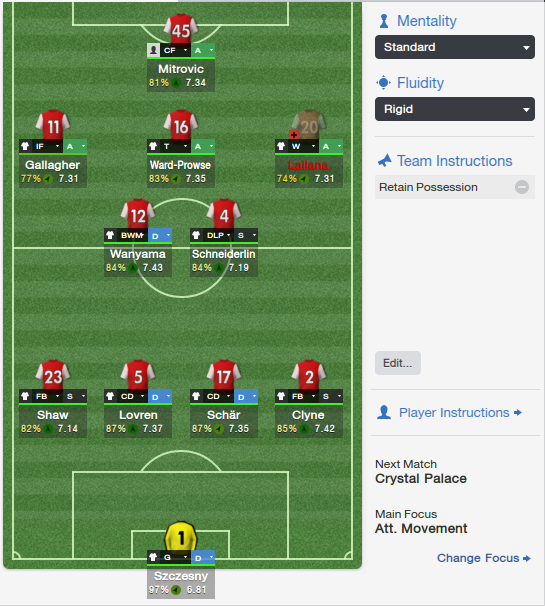 My defenders include: Clyne, Shaw, Lovren, Chambers, a regen who is a good defensive fb, Schar, Heintz and a regen cb. Defence starts at the front - we'd need to see your whole set up, and know what your Mentality and Fluidity are. If you play, as an example, an aggressive Mentality and have Attack Duties in your AML/R slots (if you have players there), then you offer no tracking back to help out the defence. If you have no DM and an aggressive Mentality, then you have a potential gap in the middle, which can be worsened with poor Role / Duty allocation at MC. Look at which attributes are highlighted when you select that Role, and compare them to his current attributes. That's always the best (and easiest) way to see just how suitable someone is for a Role. You have seen my tactic before, haha. I'd consider either starting a new thread where you post those images and detail what you think is going wrong, or have a read of the stickied Pairs and Combinations thread. The second tactic has a much better balance to it, but still a potential Role issue in the middle. I read advice from others and the pairs/combos thread to create my second tactic. I've noticed a growing trend in my tactic (possession oriented with a lot of short passing and probing). My most advanced midfielder seems to do exactly what I want, only problem is he doesn't attempt many passes behind the opposition defence. On the analysis tab he makes a lot of sideways/short forward passes. I think what you want here is more through balls, since he won't be passing directly to someone but into space for someone to run onto. ^^ Agree with Dr. Hook - Pass Into Space is a lovely Instruction and can really blend well with a possession based game to lure the AI forward, and then exploit gaps in behind. Wonder if i could get some help with some problems I'm encountering in my save at the moment. My first problem is with my fullbacks and support defenders not tackling the opposition winger at the byline rather jockeying them and ultimately letting them skip by and square the ball across the six yard box. Secondly i play two midfielders, one on the dmc strata (anchor), the other on the mc strata (b2b). when defending against big teams they have a tendency to drop really deep into the 18 yard box,almost becoming center backs, which invariably leads me to conceded goals from shots from 18 yards. Could someone point me to better explanations for the team instructions? More specifically ones for Hassle Opponents and Use Offside Trap. I'm in 3.Liga trying to play an attacking/balanced, high pressure/tempo 4-4-2 but am seeing way too many fouls (and yellows) in going through my analysis of the game when using Hassle Opponents, even with Stay On Feet. I've removed it recently and saw a drop in fouls and cards, but tactic fluidity took a hit, and it was only one match. I'd rather not muck with what was working, but if it fixes a potential future problem (players unavailable due to cards, etc.) then I'll carry on. Also I'm wondering if adding the TI Offside Trap will help my defenders with the very common long ball over the top to the quick forward/winger for 1v1 with my GK. Hassle = Higher tempo, tight marking and increases closing down. It doesn't actually encourage more aggressive tackling, so that isn't the root cause of the fouls you concede. Fouls and yellows are fine if the fouls aren't in dangerous areas, and if the yellows don't become reds. If you found that it achieved the pressing you wanted, then it needn't be removed. Alternatively, you could remove it and set specific players to Close Down More. That wouldn't achieve wholesale pressing, but should reduce the foul count and retain a semblance of shape. Offside would suit your high line and pressing, but wouldn't necessarily resolve any long balls over the top. If you play offside and use a high line, then attacking players will try to sit on the shoulder of your defenders, ready to attack the space in behind. You'll need defenders with Anticipation, Team work, Composure, Workrate, Concentration, and arguably some Acceleration and Pace to catch up with anyone who springs the trap. Thank you! Question though if Hassle = Higher Tempo and the rest then would Much Higher Tempo be redundant as a TI? I was under the assumption these two don't overlap since both can be selected at the same time. I ask because I'm sure that my fouls which are sometimes in dangerous areas (I've given an odd penalty here and there) are due to the combo of Attacking Mentality, TI's Much Higher Tempo and Hassle Opponents and the quality of player I have in 3.Liga. That said I've only tried one match, so I'll experiment more to see since it did work. I'll try Offside dependent on the opposition I face as my CB's don't have all the needed attributes, especially the Acc and Pace! If both can be selected, then there is no redundant effect for Much Higher Tempo when Hassle is active. EDIT: as I'm typing this, Walsh just scored his second goal in a cup game, and scored two goals in a previous league game. Seriously.. what..
EDIT 2: oh. A hat-trick. Okay. That makes SO MUCH SENSE. You know what, here's Walsh's screenshot. EDIT3: Just to clarify and offer as much info as possible, my tactic is using one striker, a Complete Forward, and these two are the best I've got. I got the same issues too. My IF with excellent stats( Ben Arfa)misses everything but Tom Ince scores almost every chance he gets when I subsitute Ben Arfa. I have no idea either. The system is rather complicated, fx. each control/balanced/counter setting has it's own build in speed, width and stuff. So if you play counter with higher tempo and wider, your team will play very close to control like settings, Balanced + Hassle + Higher Tempo is higher tempo than Balanced + Hassle, but might be close to the tempo of Control + Hassle. I don't know of a guide that shows how much tempo each setting adds and it's not shown in game, so I can't give a precise detail, the best way to show how things change, is to have a fluid strategy then change each option and check how the familiarity has changed. I changed to counter from control, added higher tempo and play wider resulting in loosing only a little familiarity with width and tempo, but halving mentality familiarity. This can be used to lessen the effect of tactics changes, so your team doesn't get completely lost, but choosing hassle and lower tempo is not a good idea, the reason hassle has build in tempo is because it's needed in order to effectively pressure, but it's still fully allowed to select much lower tempo. Right, so... attacking/balanced + Hassle + Higher Tempo = somewhere under Overload and above Attacking, while attacking/balanced + Higher Tempo = just Attacking? Or Hassle has a cumulative affect with higher tempo? My quandry is to find that happy medium of attacking pressure without the silly ramp up of fouls I'm seeing from my team. I guess it's more down to the level / attributes of the players in the tactic? You are correct, imo. Mental attributes are difficult to pin down as a majority cause when things occur, but imo a high number of fouls is down to at least tackling, positioning, anticipation, decisions, and aggression attributes. I'd possibly throw composure in there as well, maybe even the balance attribute. As far as the tempo is concerned, I think that people are often trying to be too boxed in about it. Does it matter if you play one philosophy vs. another if you can get the desired result (tempo/closing down)? I think there are actually probably too many options in the game as far as what affects tempo and closing down. Ultimately if one person achieves the same thing through a different combination of TI's, philosophy, PI's, etc. then it shouldn't matter. What matters is that you know how you want your team to play and that you watch the match to make adjustments so that you can find out for yourself if they get what you are looking for or not with the combination of options that you have chosen. Edit: Something else to consider is the attributes that the opposition possesses coming up against you. A terrible defender against a fantastic dribbler with high agility and acceleration is going to commit more fouls than if he was facing the opposite kind of player. Can "Jumping Reach" be improved by much, or is it tied to the players height? I've tried putting players with lower jumping reach (say 5-7) on a jumping reach focus, but I'm not seeing it improve, although other stats continue to improve. So I'm wondering if there is any point trying to improve it for players that sub 180 cm tall? Yeah, it was always tied to height. Dont think that has changed. 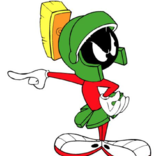 I cant recall ever having seen it move, if it has then only by a point or so.